We are a locally owned dumpster rental company that has been servicing the Bridgeport area for over 10 years. Our commitment is to deliver both your dumpster and a hassle-free experience. 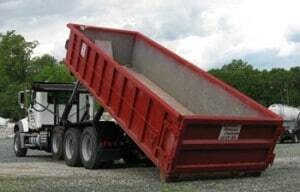 Regardless of whether you are a homeowner renting a roll off container for the first time or a building contractor who uses multiple dumpsters every month, we make the same promise to you – we’ll deliver your dumpster on time, pick it up promptly upon request, and do it all at the best dumpster prices in Bridgeport. We care about the environment and understand the significance of doing everything possible to help keep our planet clean. The waste we remove from your project in one of our dumpsters is recycled at the highest possible rate with modern technology we are averaging over 75% recycle rates. By choosing transfer stations with the best technology for recycling we are able to both protect the environment and deliver the cheapest dumpsters in Bridgeport.